Abstract : There are few studies on the effects of plantar region shiatsu treatment on the locomotor system. In this study, we examined the effects of shiatsu stimulation of the plantar region on standing balance, based on measurements obtained using a stabilograph. Four healthy subjects received shiatsu treatment to the plantar region for 1 min 42 sec per session. 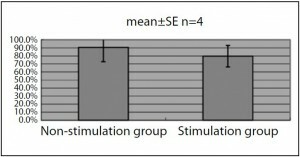 Results showed no significant differences between the stimulation group and the non-stimulation group with respect to total trajectory length, outer circumference area, rectangle area, or effective value area. Further research is required using different test subjects and research methodology. In shiatsu therapy, the plantar region is approached based on a variety of interpretations depending on the symptoms involved, with numerous accounts of its perceived efficacy based on experience. However, few studies have been conducted on the effects on the locomotor system of Japanese manual therapies to this region. 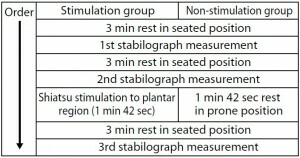 In this study, as an initial step in clarifying the effects of shiatsu therapy on the muscles and structure of the plantar region and the consequent effect on locomotor function, we progressed to the pre-experimental stage in the measurement and analysis of changes to standing balance using a stabilograph. This is an interim report on the results obtained and summary of our ongoing research. Research was conducted on four healthy males (mean age: 30 ± 10.68 years old) who were students at the Japan Shiatsu College. Test procedures were fully explained to each test subject and their consent obtained. Testing was conducted in the lounge space at Japan Shiatsu College between January 29 and February 5, 2015. 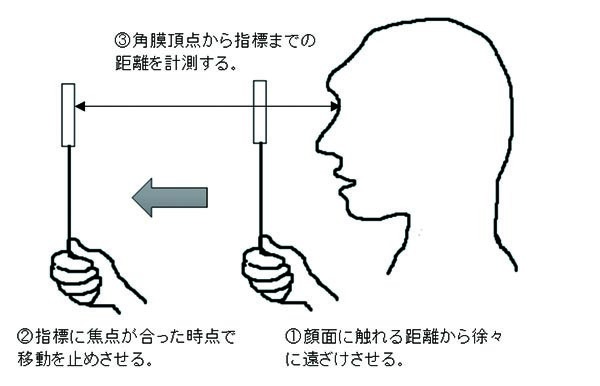 Center of gravity sway was measured using a stabilograph (Gravicorder GS-10 Type C; Anima Corp.). Each measurement was recorded for 1 minute while subjects stood with the medial borders of their feet together, arms crossed over their chests, and eyes closed. Results were obtained for 10 measurement criteria (total trajectory length, unit trajectory length, unit area trajectory length, outer circumference area, rectangle area, effective value area, sway mean center deviation X-axis, sway center deviation X-axis, sway mean center deviation Y-axis, and sway center deviation Y-axis). 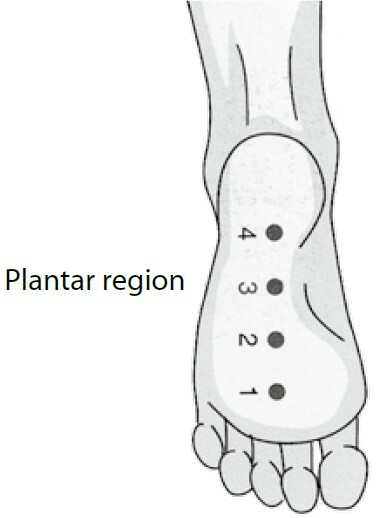 In accordance with the basic treatment points employed in Namikoshi shiatsu, 4 points were stimulated between Point 1, located in the plantar region between the bases of the second and third digits, and the edge of the heel, using 2-thumb pressure with the test subject in the prone position (Fig. 1). Pressure was applied for 3 seconds to each of the 4 points, repeated 3 times, then single-point pressure was applied to Point 3 for 3 seconds, repeated 3 times, with a total duration of approx. 1 min 42 sec for both feet. Treatment was applied using standard pressure (pressure gradually increased, sustained, and gradually decreased), with pressure regulated so as to be pleasurable for the test subject (standard pressure) 1. In order to average the test subjects’ learned behavior, they were randomly divided into two groups of two, Group A and Group B. 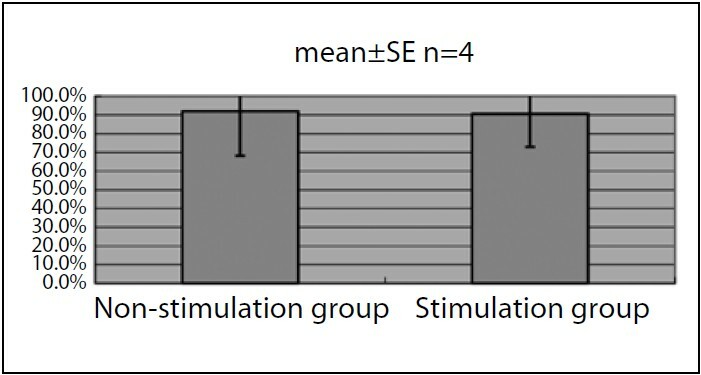 Group A was scheduled to act as the non-stimulation group first, then as the stimulation group, while Group B acted first as the stimulation group, then as the non-stimulation group (Fig. 2). 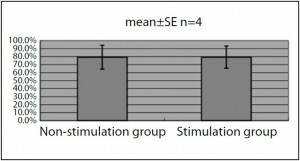 Of the data obtained from the stabilograph, measurements for total trajectory length, outer circumference area, rectangle area, and effective value area were compared between the non-stimulation group and the stimulation group by subjecting data on change rates between the 2nd and 3rd stabilograph measurements to t-testing. 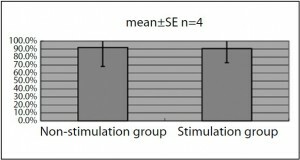 Compared to the non-stimulation group, which had a change rate of 85.5 ± 7.2% (mean ± SE), the stimulation group had a change rate of 92.9 ± 7.0%, which was not statistically significant (p<0.595). Compared to the non-stimulation group, which had a change rate of 90.6 ± 17.8%, the stimulation group had a change rate of 79.6 ± 13.3%, which was not statistically significant (p<0.744). Compared to the non-stimulation group, which had a change rate of 79.3 ± 14.9%, the stimulation group had a change rate of 79.4 ± 13.9%, which was not statistically significant (p<0.996). Compared to the non-stimulation group, which had a change rate of 92.0 ± 23.8%, the stimulation group had a change rate of 90.6 ±17.6%, which was not statistically significant (p<0.975). The purpose of this study was to examine the effect of shiatsu stimulation to the plantar region on standing balance. This was based on the hypothesis that shiatsu stimulation would have a similar effect to that reported in existing research showing the effect on standing balance of sensory stimulation to the plantar region 2~6. In this study, which was still at the preexperimental stage, we were not able to obtain data or statistical results to substantiate the effect on balance of shiatsu to the plantar region. 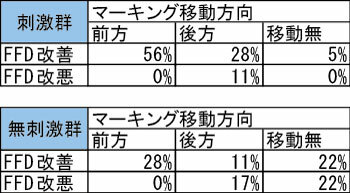 However, each sample observed suggested a trend in the effect of shiatsu stimulation, so there is a chance that a different result will be obtained when testing is conducted with a larger sample size. On the other hand, all measurement values obtained from this sample were from healthy test subjects considered to be within the standard range 7. It was assumed that, for test subjects within such a range, measurement values would be easily variable based on physical condition, a factor which cannot be averaged out through uniform test procedure. 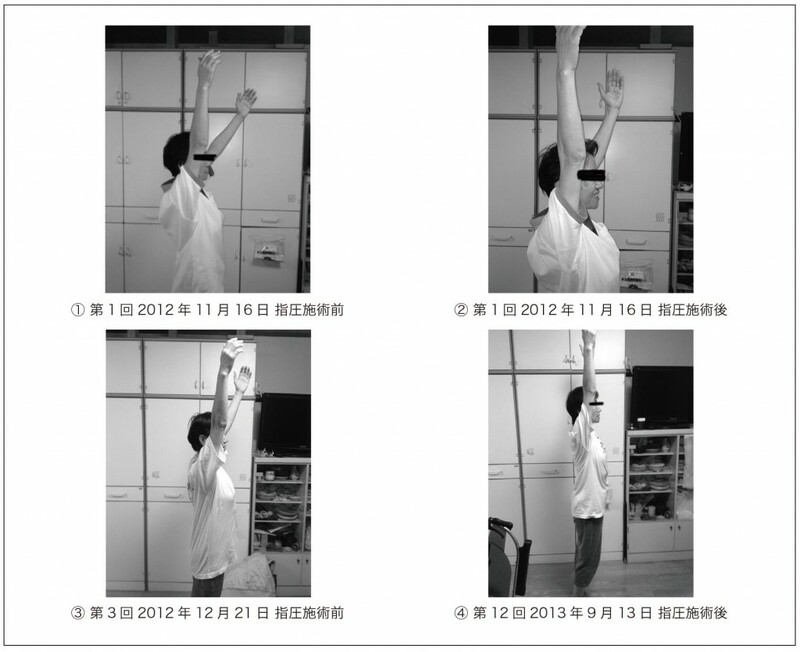 For this reason, it is difficult to fully investigate the effect of shiatsu stimulation on standing balance using the measurement data obtained from a stabilograph alone. In future study, it will be necessary to consider an experimental method that includes examination of test subjects and the use of other measurement criteria in addition to the stabilograph, with integrated analysis of the results obtained. 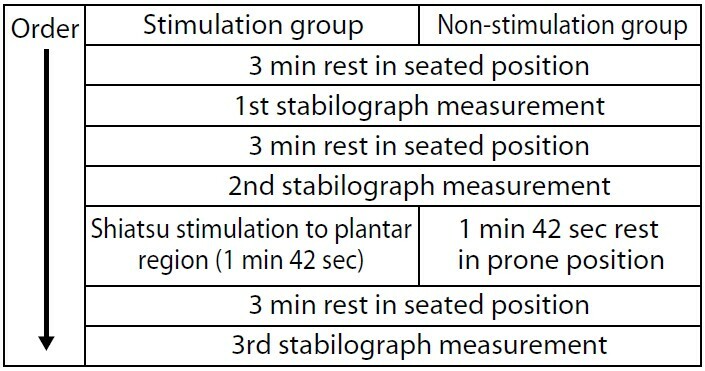 Shiatsu stimulation of the plantar region in four healthy test subjects did not produce a statistically significant change in measurement values using a stabilograph. Testing of the effect of plantar region shiatsu on standing balance was insufficient due to the limitations of the test procedure employed at this stage, necessitating a reexamination of the methods employed in testing. Abstract : The Timed Up and Go (TUG) test was employed to determine the effect of inguinal region shiatsu on walking ability. 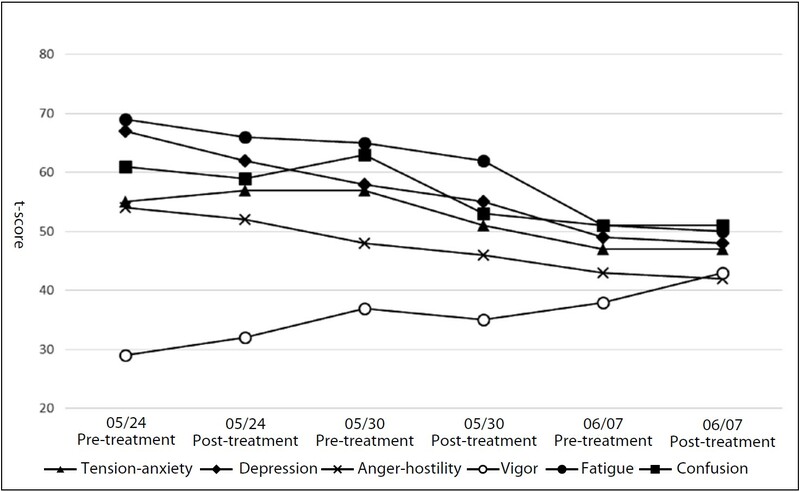 The post-treatment time was shorter than the pre-treatment time, suggesting that shiatsu stimulation may improve walking ability at least temporarily. Yoshinari et al have reported on the possibility that shiatsu stimulation to the inguinal region increases range of motion for hip extension and lumbar vertebrae retroflexion in standing automatic trunk retroflexion 1, postulating that shiatsu stimulation to the inguinal region reduced tension in the iliopsoas muscles, increasing range of motion in the lumbar vertebrae and hip joints. However, there was no reference to functional changes. 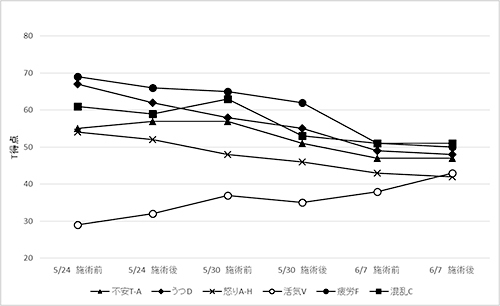 In this comparatively simple study, we observe changes to walking ability after inguinal region shiatsu using the highly reliable TUG test as an evaluative tool. The TUG test, devised by Podsiadlo et al in 1991 2, is a widely used evaluation index for walking ability in the elderly. The subject was placed in a relaxed supine position with all four limbs extended. The therapist stimulated three points over the inguinal ligament, extending medioinferiorly from the anterior superior iliac spine to the lateral border of the pubic bone 3. Stimulation consisted of (1) palmar pressure (pressure using the thenar eminence) and (2) shiatsu using the therapist’s thumbs of both hands, held for approximately 5 seconds per point, applied for 5 minutes each on the left and right sides. Strength of pressure was such that, when the therapist’s palm and thumbs sank into the skin and subcutaneous tissue, he was able to feel the inguinal ligament and femoral pulse, at a pressure that was comfortable for the subject. The TUG test was used to evaluate pre- and post-treatment times required. An armless chair was used, with a red cone placed 3 meters directly in front of the leading edge of the front leg as a marker. Responding to a verbal signal, the subject was required to stand up from the chair, walk around the cone, and return to sit in the chair. The time required to complete this task was measured with a stopwatch. 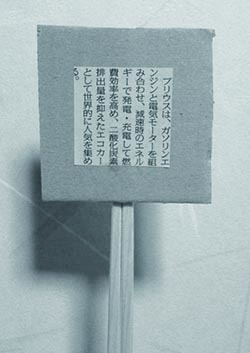 The task was performed immediately before and immediately after stimulation, (1) at regular walking speed; and (2) at maximum walking speed, once for each. The times were measured and the time for walking speed at (2) maximum effort was used as the measurement value. The iliopsoas is comprised of two muscles, the iliacus and the psoas major, which come together in the pelvic cavity to form the iliopsoas before passing through the muscular lacuna below the inguinal ligament and inserting onto the lesser trochanter of the femur. Shiatsu of the inguinal region targets pressure to the inguinal ligament, with pressure directed more or less perpendicularly to the skin’s surface on points along the inguinal ligament from the anterior superior iliac spine to the lateral border of the pubic bone. The pressure therefore should penetrate to the iliopsoas muscle. When walking at a moderate pace, after reaching extension at the end of the stance phase the lower limb swings forward like a pendulum, allowing the foot to move forward without employing the iliopsoas muscle. However, in effortful walking, the iliopsoas contracts powerfully during the initial-to-mid swing phase, flexing the extended leg to swing it forward 4. 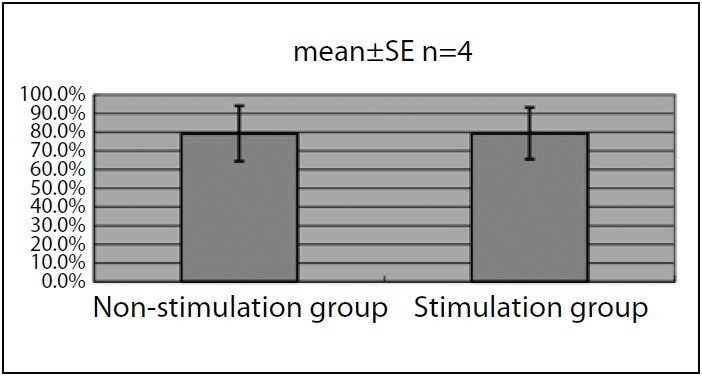 According to research conducted by Anderson et al using an electromyograph, the effect of these muscles on walking is greater the faster the pace 5. It is also likely that iliopsoas functionality also plays a role in pelvic stability while walking, as well as emergency postural control when balance is lost. Eto reported on the probability that shiatsu stimulation improves regulation of muscle output 6, hypothesizing that this may be due to its effect on kinetic and sustained neuromuscular units along with increase in local blood supply. Similarly, the reduced post-treatment times recorded in this study were likely due to changes in the condition of the iliopsoas muscles due to shiatsu stimulation of the inguinal region, affecting their function during effortful walking to result in increased walking speed. Regarding the fact that no cumulative time reduction was observed during the overall test period, this was likely because shiatsu stimulation to the iliopsoas in isolation did not result in a fixed change to the condition of the muscle. We hypothesize that, in order to achieve a more lasting change, it would be necessary to effect changes in hip flexors other than the iliopsoas, including the rectus femoris and tensor fasciae latae, along with antagonists such as the gluteus maximus and hamstrings, leading to changes of alignment in the sagittal plane for the hip joint and pelvis. In this case, because no control was used, we cannot rule out the possibility that the reduced times were due to a learning effect in the test subject. 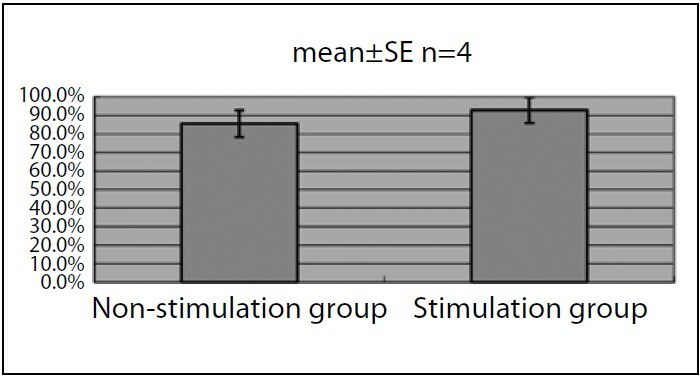 Further research employing test methodology that includes a control is required in order to verify the effect of shiatsu stimulation in isolation. 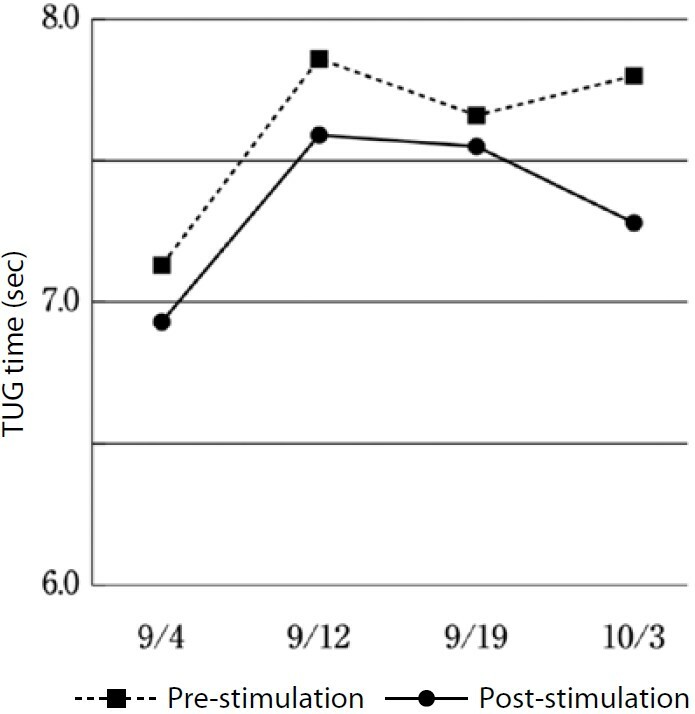 Shiatsu stimulation to the inguinal region resulted in a tendency for TUG times to be shorter post-stimulation than pre-stimulation. Abstract : Sports are receiving increasing attention in Japan ahead of the 2020 Tokyo Olympic Games. The goal of this study was to verify the effect of standard Namikoshi shiatsu therapy on sports performance. 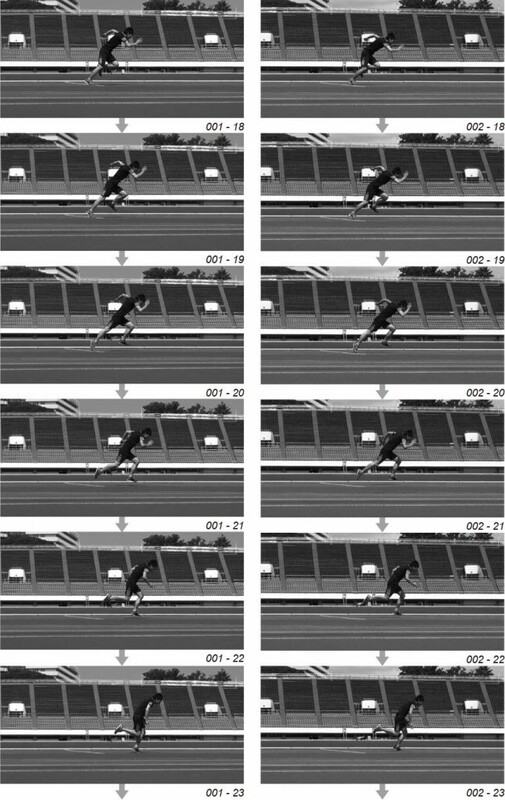 After adequate warm-up, the test subject performed five 50-meter sprints separated by 5-minute rest intervals. 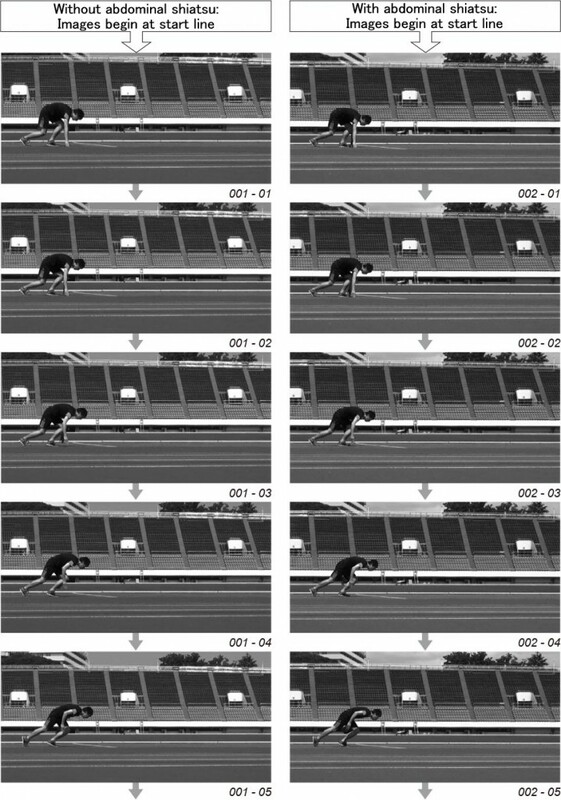 The sprints were timed and photographed using a fixed camera to facilitate running posture analysis. Abdominal shiatsu, consisting of the standard 20 points on the abdomen, repeated 3 times, was applied before the initial run and during each 5-minute interval. During control testing, the subject spent the same time resting in supine position. 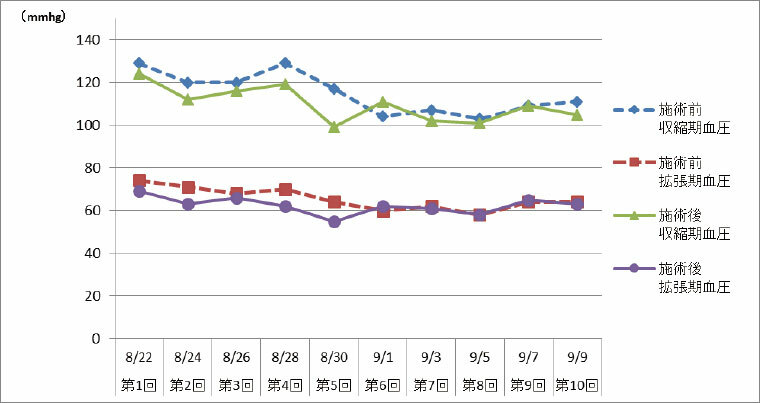 Testing was performed on different days for shiatsu and control sessions. 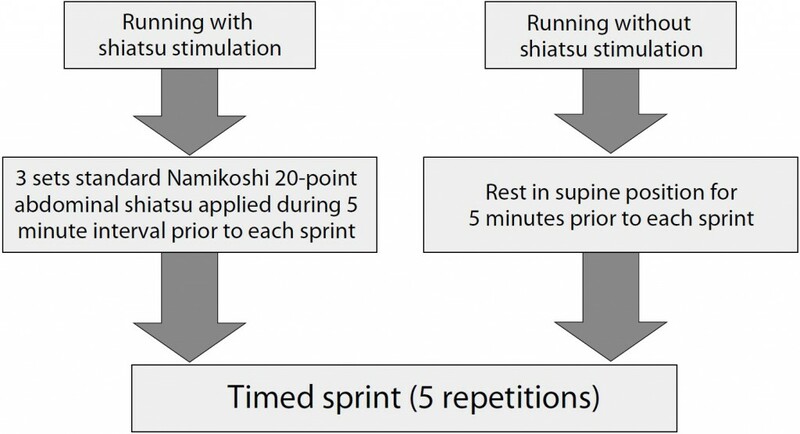 On average, sprint times were shorter when shiatsu had been applied. 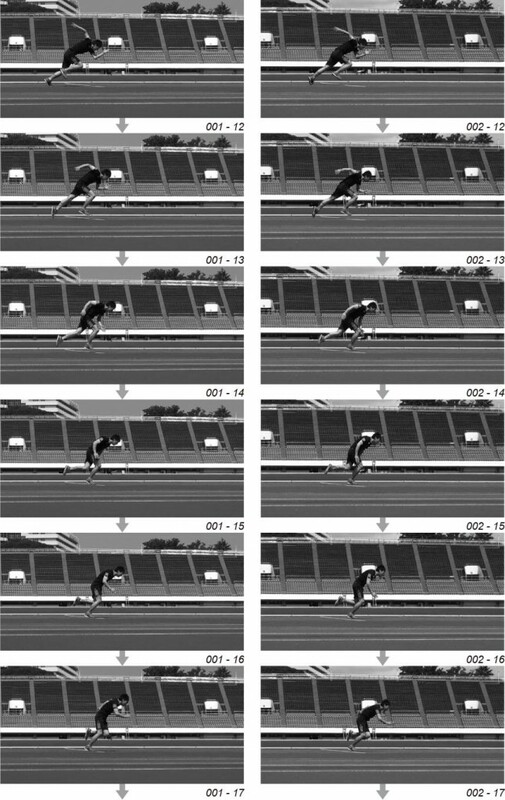 Comparison of photographic images also showed changes in trunk rotation, knee flexion, and stride length. These results suggest that Namikoshi standard abdominal shiatsu consisting of pressure to 20 points on the abdomen may have positive effects on sprint performance. 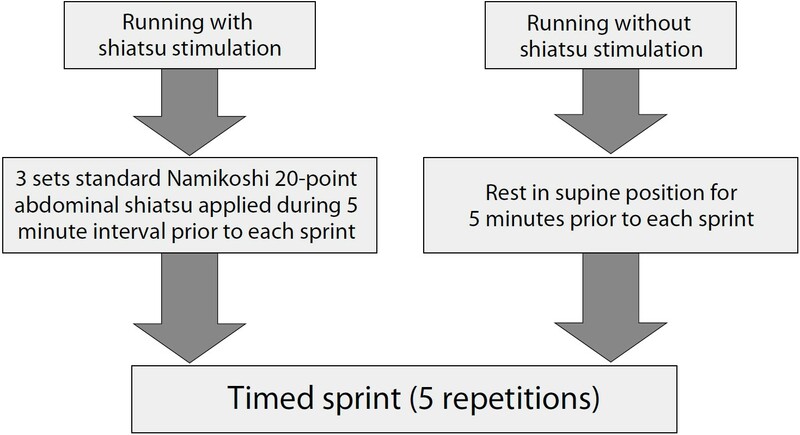 In this study, we examined the effect of standard Namikoshi 20-point abdominal shiatsu 1 applied to a runner prior to running a 50-meter sprint on ankle, knee, trunk, and shoulder joint ROM, hip flexion speed, and starting hip position, and verified the accompanying changes to stride length and run time. 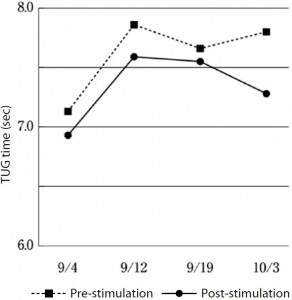 Measurements were taken after applying shiatsu stimulation to the test subject on August 15, with control measurements taken on August 2 when the test subject had received no shiatsu stimulation. Shiatsu stimulation consisted of standard Namikoshi 20-point abdominal shiatsu, repeated 3 times, before the initial run and during the 5-minute rest interval prior to each of 5 runs. Adequate stretching was carried out prior to running 2. The short-distance running cycle can be divided into two phases: (1) the support phase (when the sole of the foot is in contact with the ground); and (2) the recovery phase (when the sole of the foot is not in contact with the ground). Phases (1) and (2) can each be further divided into three sub-phases. The (1) support phase includes (1)-1 foot strike (the period when a portion of the sole of the foot is in contact with the ground); (1)-2 mid support (The period from when the sole of the foot is in full contact with the ground, supporting the body’s weight, to immediately before the heel loses contact with the ground); and (1)-3 takeoff (the period from when the heel loses contact with the ground to when the toes leave the ground). The (2) recovery phase includes (2)-1 follow-through (the period from when the sole of the foot leaves the ground to when rearward motion of the lower leg ends); (2)-2 forward swing (the period when the lower leg is moving from back to front); and (2)-3 foot descent (the period immediately prior to when the sole of the foot makes contact with the ground). Specific muscles are active during each of these phases, which may vary depending on running speed. When observing the muscles active while running, the abdominal muscles are strongly active only when running 100 m at an average speed of 36 km/h, as compared to 1 km at an average speed of 12 km/h or 16 km/h. During the running cycle, strong abdominal muscle activity is observed from (1)-2 to (2)-2 3. 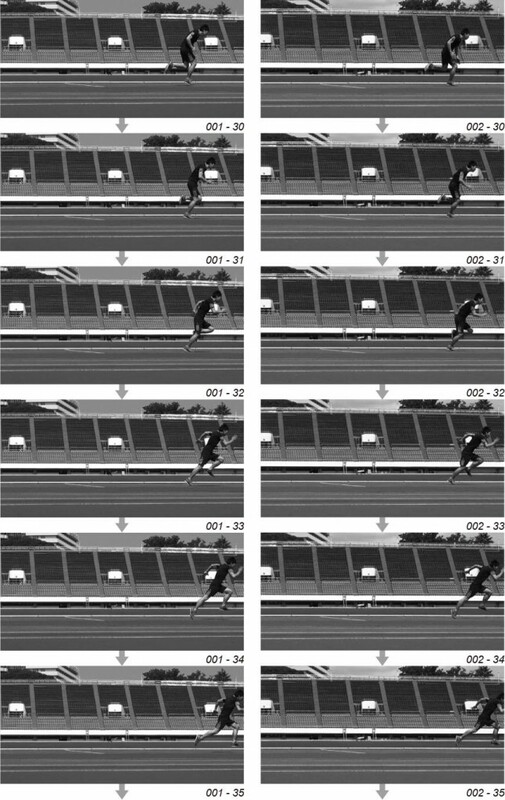 The reason abdominal muscle activity is only observed in short-distance running is due to the strong angular momentum generated between arm swinging and the pelvis. While running, the pelvis produces rotational motion on a vertical axis, generating angular momentum around the vertical axis. Arm swinging is important for reducing trunk deflection due to this motion; in practice, the angular momentum produced by arm swinging eliminates the trunk deflection due to pelvic angular momentum. This is a distinguishing characteristic of short-distance running 4. 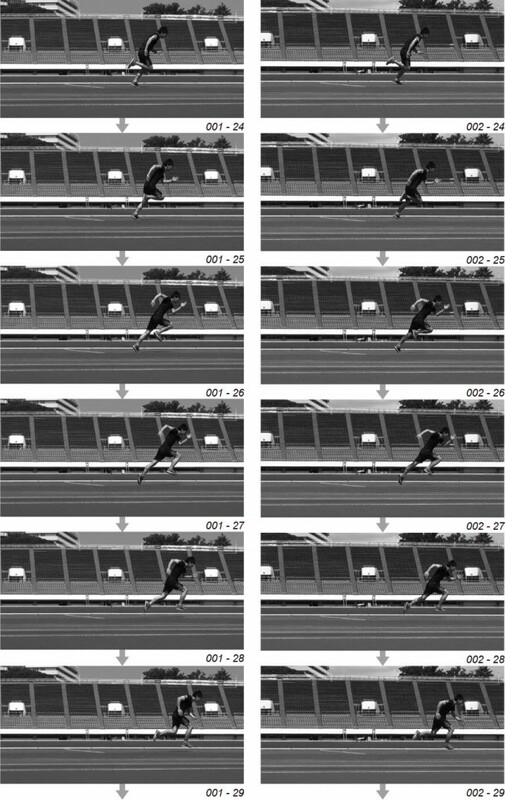 In running there is an ideal leg trajectory. According to research conducted using a sprint training machine, leg motion effectively utilizes flexible twisting and rotational motions in the pelvis and trunk and is also necessary to adroitly maintain balance. Also important is that this motion originates in the epigastric fossa, around the level of the upper lumbar and lower thoracic vertebrae 5. Muscles thought to be affected by abdominal region shiatsu include the muscles related to maintaining abdominal pressure (diaphragm, rectus abdominis, external abdominal obliques, internal abdominal obliques). When these abdominal wall muscles contract in coordination with the pelvic floor muscles, intra-abdominal pressure rises. It is known that increased intraabdominal pressure significantly reduces the load placed on upper and lower lumbar intervertebral discs 6. Based on the above discussion, one possible explanation for improved running performance and shorter times recorded in this study is that abdominal shiatsu resulted in more coordinated performance of muscles involved in maintaining intraabdominal pressure and improved trunk stability. 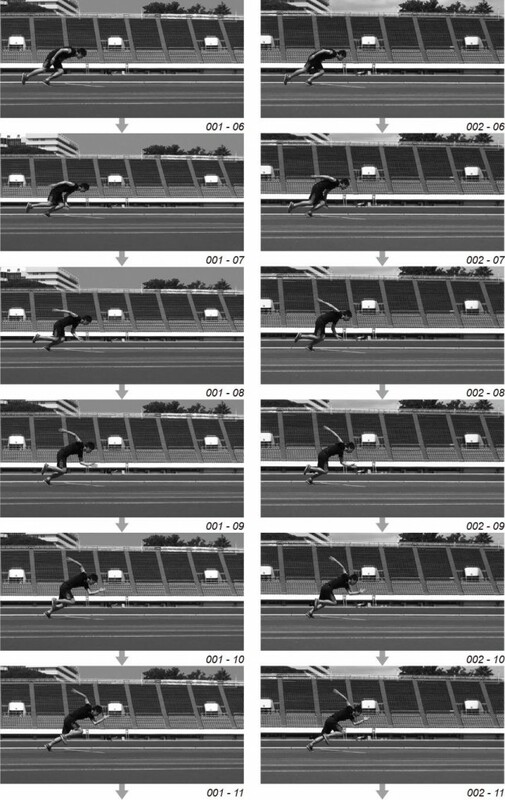 It is also possible that improved response time from the start of the sprint to the first step resulted in faster running times, but analysis would be problematic at this stage. Abdominal shiatsu does not directly affect the lower limbs, which are the focus of running. However, it may have an effect on the trunk, from where such motion originates, contributing to more ideal motion in the upper and lower limbs. Nevertheless, many points in this study remain unclear, and it is possible that there would be no effect on middle or long distance running times, where abdominal muscle activity is less apparent. More specialized testing and analysis is required. Abstract : With a view to relieving pain around the left shoulder joint and improving range of the left shoulder motion, a sixty year old female patient with frozen shoulder was treated by shiatsu. The treatment of twelve sessions resulted in removing the pain and improving the range of the joint motion. As for the range of motion, the difference between the left and right shoulders was eliminated. Increasing muscle flexibility by shiatsu therapy may have potential to ease pain and to improve range of joint motion. Abstract : Aiming at circulation improvement of the inner ear and the brain, shiatsu treatment procedures have traditionally been established for patients with headache and / or dizziness. Since it is experimentally known among shiatsu therapists that shiatsu affects the inner ear and the brain, the author has been interested in the influence of shiatsu treatment over audibility. This is a case report of a patient with presbycusis treated by shiatsu. As a result of the observation of blood pressure, pulse, body temperature and VAS (Visual Analog Scale) of hearing loss, a fall in systolic blood pressure and a raise in body temperature were significant, while decrease in value of VAS was not significant. 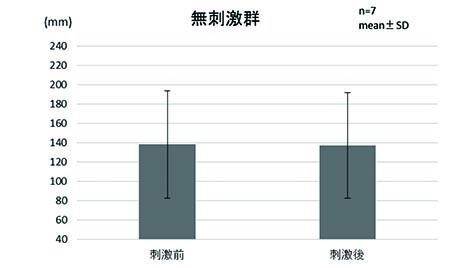 Given that post-treatment VAS exhibited a declining trend and the patient’s response to beep sound of a sphygmomanometer was improved after shiatsu treatment, however, shiatsu treatment could be potentially contribute to the treatment of presbycusis. Abstract : There are few studies on the effects of plantar region shiatsu treatment on the motor system. 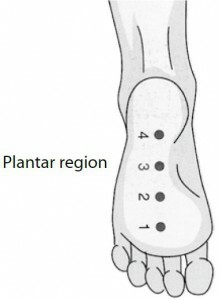 In this study, the effects of plantar region shiatsu treatment on balance in the upright position were verified using a stabilograph. 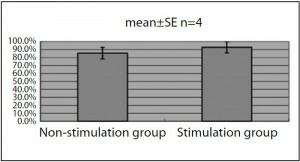 Four healthy subjects underwent plantar region shiatsu treatment with each session lasting for 1 min and 42 s. Our results show no significant differences between the shiatsu group and the control group for total trajectory, outer circumference area, rectangle area, or effective value area. Revision of both the subject population and the methods used are needed for further research on this topic. Abstract : Standing forward flexion changes due to shiatsu stimulation of various regions have been verified and reported. Building on the past results, we researched standing forward flexion changes due to shiatsu stimulation of the posterior crural region. The research was conducted on 21 healthy subjects, and standing forward flexion was significantly improved by shiatsu stimulation of the right and left posterior femoral region for 2’ 24’’ compared to the non-stimulation group. 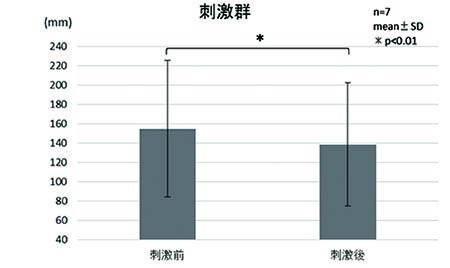 The analysis on marking of caput fibulae also indicated that shiatsu stimulation of the posterior crural region eases tense triceps surae muscle and improves flexibility. Abstract : Considering value of near point of accommodation as an objective indicator of visual performance, we examined the effectiveness of shiatsu treatment applied to the facial region in improving visual performance. Research was conducted on seven healthy adults, and shiatsu treatment of the facial region was carried out according to the basic Namikoshi shiatsu procedure. 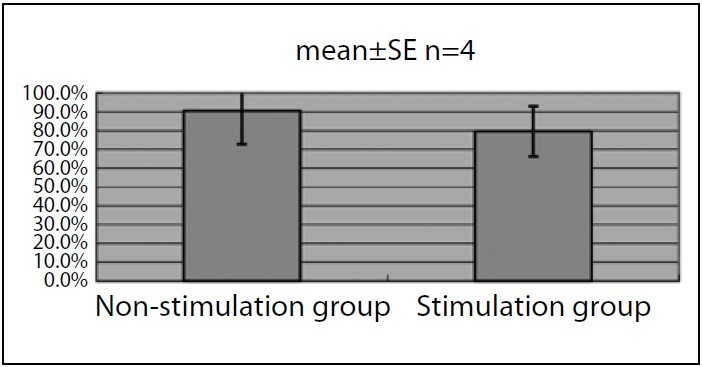 The research showed that the post-stimulation average value of near point of accommodation was significantly decreased compared to the pre-stimulation average value in the stimulation group. As for the non-stimulation group, on the other hand, there was not significant difference in average value of near point of accommodation between the pre-stimulation and the post-stimulation. The result indicates that basic Namikoshi shiatsu treatment of the facial region is effective in improving visual performance.